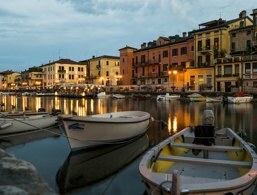 Holidays in Peschiera del Garda ↔ Discover Lake Garda! 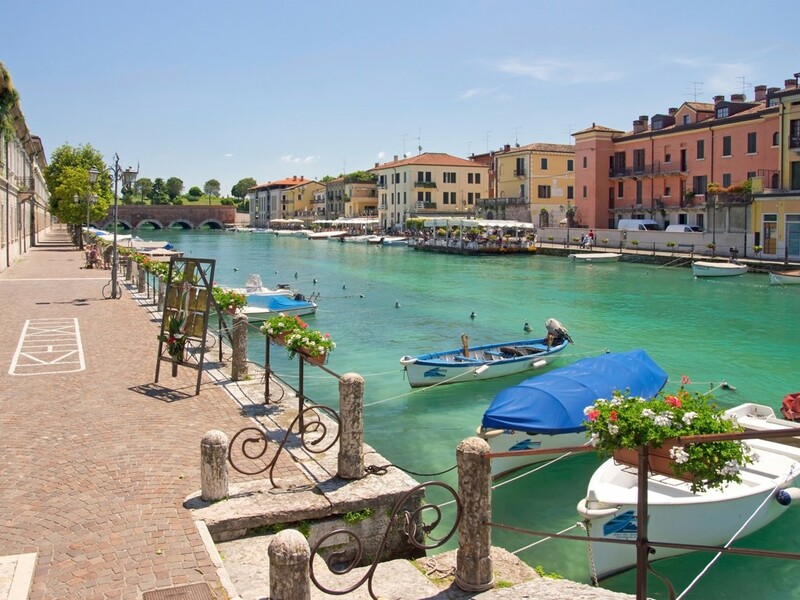 In addition to the picturesque, historic old town, Peschiera del Garda also has some stunning beaches! Peschiera del Garda is one of three major towns that lie on the southern shore of Lake Garda, surrounded by rolling meadows and woods. 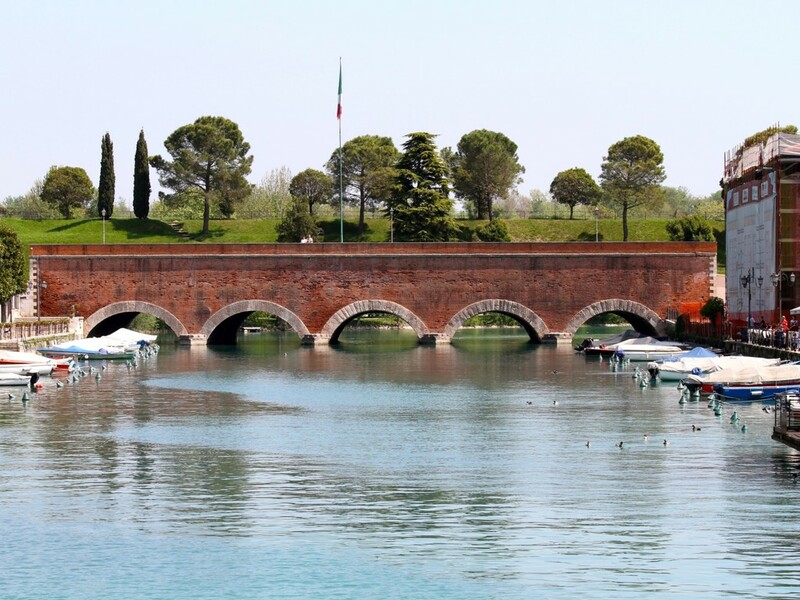 Compared to the neighbouring town of Sirmione, Peschiera does not live exclusively from tourism and depending on what you are looking for, it's picturesque harbour, and architectural attractions make it a worthwhile destination. 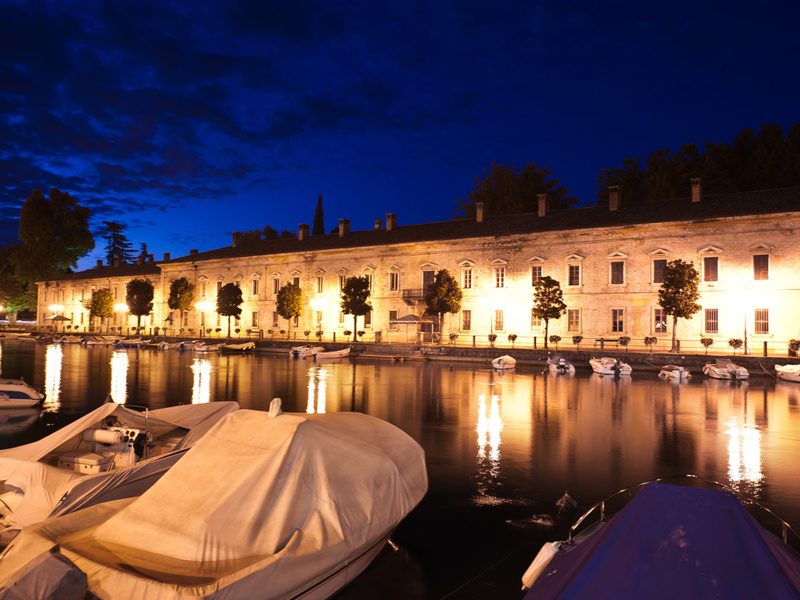 The centre of Peschiera del Garda is made up of three inhabited islands, where the Mincio (the only outlet of the lake) begins and right where Lake Garda ends. Since the Mincio flows to Mantua and further down into the Po, it was considered a strategically important point. The best way to experience the special atmosphere of the city is to take a walk through the star-shaped old town, which extends over one of the islands and is dominated by a mighty fortress. This had been defended vehemently until the 19th century by the Austrian rulers against the Italian freedom fighters. Meanwhile, the fortifications have partially decayed with plants and trees beautifully growing over it. Peschiera del Garda is a major public transport hub. The village is located on the busy embankment, and it's also one of the two stations of Lake Garda. The surrounding area of ​​the town is characterised by broad meadows and beaches like the pebbled Lido Cappuccini west of the centre, Porto Bergamini, Porto Fornaci and the fortified shores north of the Mincio. Perfect for campers and swimmers. 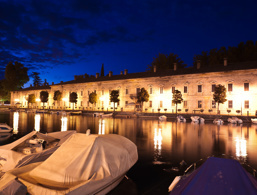 Experience the magic of Peschiera del Garda holiday resort. The star-shaped fortress of Peschiera is the most massive military complex of Lake Garda and the regions around it. Its origins probably go back to Roman antiquity. The Scaliger built a castle here, which was made into a mighty stronghold by the Venetians and was then extended under Napoleon and again in the 19th century by the Austrians. The gigantic fortress is strategically positioned right in the middle of the river Mincio, which along with the Po, forms a continuous waterway to the Adriatic Sea. Large parts of the fortification are restricted now as a lot of it is neglected and overgrown. 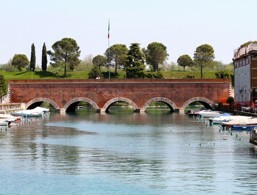 Coming from the north on the Gardesana Orientale to Peschiera, you enter the city via the impressive Porta Verona gate. The southern entrance to the historic centre is the Porta Brescia, one of the well-preserved areas of the fortress. Next to it lies the Bastione Tognon, where on the walls, trees and shrubs were planted, and a children's playground created. The bridge Ponte dei Voltoni leads across the canal in the north of the old town. With its five arches, the brick building has a quite imposing appearance. Behind it, you reach the eastern wall via a few steps, where you have a good view of the Mincio and the Bastione San Marco. The main church of Peschiera del Garda is located in Piazza Ferdinando di Savoia. There is a beautiful relief at the entrance, which shows Saint Martin sharing his coat as well as a classicist interior with painted ceilings and colourfully stained-glass windows. In addition to the cathedral, you will also find the excavations of the ancient Roman settlement Arilica. 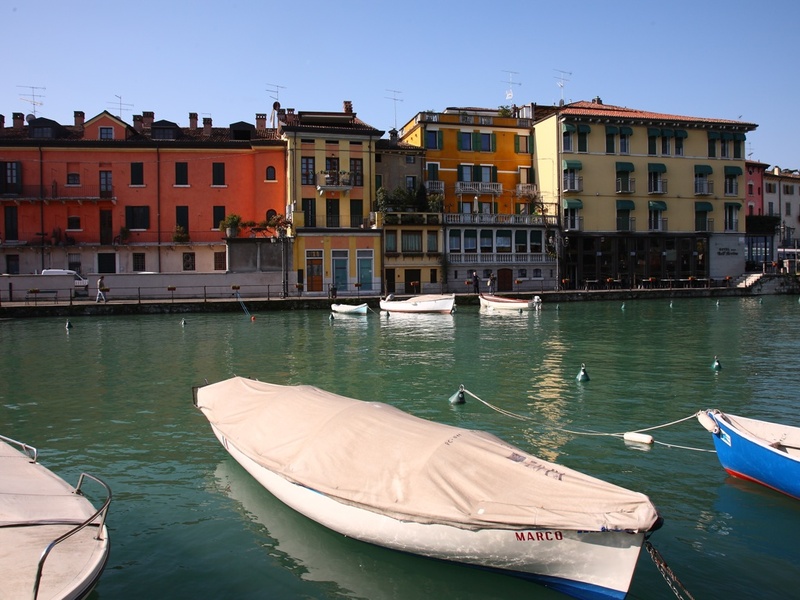 The accommodations at Peschiera del Garda were rated 4 out of 5 stars by 2 users.